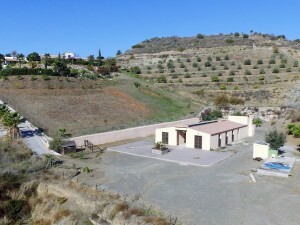 NEW DEVELOPMENT, located in Buenavista, to the eastern side of the ?Mijas Triangle?, of 22 luxurious villas on private plots, all of which enjoy superb south and southwest views to the crisp blue Mediterranean. 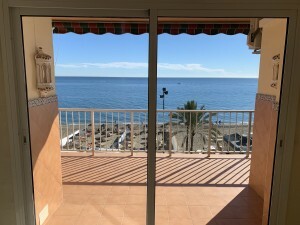 Only 10 minutes to Malaga International Airport and 5 down to the amenities of Fuengirola city, Phase 1 of this development offers luxurious villas of 200 to 228m2 constructed living area and 100 to 130m2 of basement, that can be used as a gymnasium, games room, kids play area ? etc. ?or perhaps a combination! The Villas will be designed with 3 and 4 ensuite bedrooms and each owner will have the final say in the layout and distribution of their project. The plots start at over 800m2, up to 1,500m2+, so there is ample room for an extensive decking area around a private swimming pool and gardening area. Opportunities exist to amalgamate adjoining plots to design and develop 4, 5 or even 6 bedroom luxuries villas that will enjoy the panoramic southern sea view! The homes are esthetically different ? open plan, contemporary, with spacious, stylish and rich-in-light interiors. Large, floor to ceiling folding windows allow for the interior areas to merge naturally with the large open terraces and exterior living and entertaining areas. The developers have listened to their clients. Raising the standards of build quality to deliver an energy efficient home, via the use of ?EPS? (Expandable Polystyrene Panels) a high insulating and robust building method, is a priority; adding high performance doors, windows and offering an array of ?Green Energy? products contribute substantially to the villas being sustainable and passive homes. Ongoing utility bills and taxes will see huge savings. Consumer friendly payment plans which are asset backed, bank or insurance guaranteed, are available on all Projects. All projects are delivered ?key in hand?, with all professional fees, taxes, insurances, utility connections etc. are all included in the individual purchase price.